Angela Sterritt is an award-winning journalist, writer, and artist from British Columbia. Sterritt has worked as a journalist for close to twenty years and has been with the CBC since 2003. Her reports have appeared in the Globe and Mail, The National, CBC’s The Current, and various other national and local news programs. She currently works with CBC Vancouver as television, radio and online reporter. She is a proud member of the Gitxsan Nation. In the fall of 2017, Sterritt launched “Reconcile This,” a CBC column that explores the tensions between Indigenous people and institutions in British Columbia. Almost immediately the column had a significant impact, leading to policy changes and wracking up multiple awards including an international Gabriel award. A column comparing the Ministry of Child and Family Development’s advertisements of children in care to those ads from the Sixties Scoop compelled MCFD to remove them. In another, a publisher removed a book being used in the B.C. school system after it was alleged that is caused harm after parents called it racist. More recently ‘Reconcile This’ uncovered MCFD social worker’s failure to connect to Indigenous communities while giving the optics of doing so via an MCFD “Form A” which led to the ministry to look at major policy shifts within. In 2017, Sterritt accepted the Investigative Award of the year from Journalists for Freedom of Expression for her team at CBC and their coverage of missing and murdered Indigenous women. She won Best Audio Work of the Year in 2016 at the prominent ImagineNative film festival in Toronto for her CBC documentary called ‘The Story She Carries’. In the same year, Sterritt was Nominated for a Canadian Online Publishing Award for her writing on MMIW. Sterritt’s a text feature on missing and murdered Indigenous, women, girls and two-spirit people earned her a nominated for a Canadian Association of Journalists Award. The topic is the focus of a book she is now writing that digs into the cases of those missing or murdered along the Highway of Tears, at the Pickton farm and in Manitoba. In 2015 Sterritt was awarded a prestigious William Southam Journalism Fellowship at Massey College in Toronto and is the first known Indigenous person in Canada ever to receive the award in the school’s 60-year history. Sterritt and her production team at CBC’s 8th Fire (WATCH here) earned a nomination for a Canadian Screen Award for their digital platform with the groundbreaking TV series on Indigenous history and current realities. Her other awards include winning Best Radio of the year (2013) at the ImagineNative Film Festival, for her documentary on Cindy Blackstock and two CBC President’s awards for her work as a producer on CBC’s 8th Fire and a reporter at CBC Aboriginal. Sterritt is also a visual artist with her paintings exhibited across the world. In August of 2016, she painted a large mural in Jiangxi China with eight other international artists. In 2012 took on the dream of her life — animating and exhibiting five of her original paintings on over 300 LCD screens on the Toronto Transit system, 33 English Malls, and the Calgary Airport. The theme was the 1200+ missing and murdered Indigenous women in Canada. 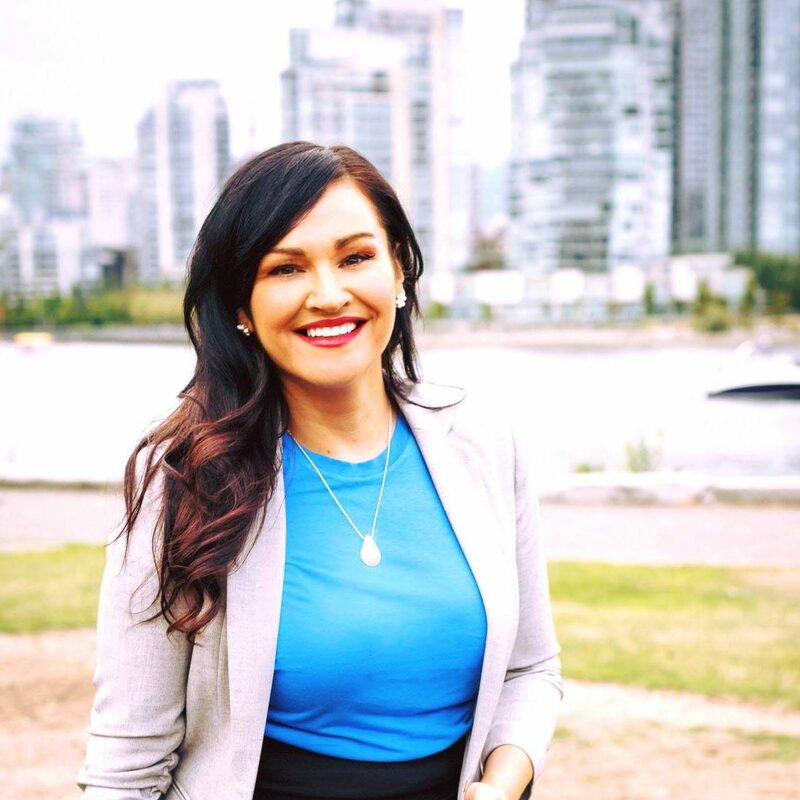 As a motivational speaker, Sterritt talks about her climb from being a vulnerable Indigenous youth living in poverty to becoming one of Canada’s top journalists. She also talks about breaking stereotypes and creating change and relationships in Indigenous and non-Indigenous communities. In her service work, Sterritt speaks to journalists and students in newsrooms and in university classrooms about reporting in Indigenous communities.